Sometimes God’s gifts are obvious, and they fit perfectly into my plans: a healthy newborn baby; a loved one returning safely from a war zone; a cancer scare for a dear family member that turns out fine. Huge life moments when you fall to your knees in thanks for the outcome. But what about those gifts that are not only unexpected, but don’t even really register on your wish list because they don’t fit into your plans? Jefry coming into my life was one of those gifts, unplanned by me, but not by God. He stood out in a stack of five child folders I received just two months before visiting Nicaragua. At three years old, he was almost exactly one year younger than my youngest son, and had a birthday just a few days before my son’s. Jefry looked apprehensive in his photo, maybe even shy, his skinny legs peeking out of his shorts, baby toes showing in his little red sandals. I thought how I’d love to sponsor this little boy, but I set aside his folder on the table. 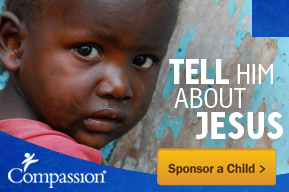 But we had no plans to sponsor another child so close to my upcoming trip with Compassion. I already had two children on my list for child visit day, and had been collecting gifts to bring to them, and I was saving a spot in our budget to sponsor another child while on the trip. So, as planned, I scanned in Jefry’s photo, and along with the four other child folders, posted his information on my blog, hoping to find him a sponsor. In less than a day, a man contacted me and said he wanted to sponsor one of the children whose photos I had posted. I asked which child, and he said to just choose for him. He also agreed to have me assigned as his child’s correspondent, so I would write to the child while he was the financial sponsor. Any guesses who I chose? Two months later, I was meeting Jefry for the first time. Meeting Jefry for the first time. Just like in his photo, he looked shy as he approached. One of my other boys, Esteban, held Jefry’s hand and led him to me. After our first hug, “shy Jefry” disappeared. It turned out that timid little guy actually had mischief in his eyes, beautiful dimples that flashed with plentiful smiles, and a whole lot of energy. He was on the go non-stop! I often pray for his beautiful mother, Gloria, that she would have the energy to keep up with her little firecracker, as I saw him test and challenge her many times that day. He carried a “traca traca”, two balls connected by a string, stuffed impossibly into his little jeans pocket. He crashed into a glass door, which knocked him flat on his back and left a small red bump on his forehead, but he didn’t miss a beat. This boy tackled every new experience throughout the day with enthusiasm, from his first go-cart ride as my passenger, to driving his own boat in circles, to a boat ride with me as we chased my son and other sponsor children to squirt them with our water cannon, causing him to laugh loudly. He overcame his fear of the jumping castle as we bounced inside it during a rain shower, soaking wet and laughing. He strapped on roller skates and flung his legs wildly, held up by the arms between his mother and our translator, eyes sparkling and only half-heartedly trying to skate, but obviously enjoying his legs wildly flailing around. He repeatedly stuck his thumb in his mouth during photos to tease his mother. He wanted to play baseball immediately upon receiving the glove and ball I brought for him. He ate a hot dog in the morning, chicken and fries for lunch, then cake and popcorn later in the day, always with enthusiasm and finishing every bite. And after all of this, he still had the energy to kick a soccer ball around with me and the older boys. In fact, I didn’t see Jefry slow down the entire day, until we climbed back on the bus together. Then he fell asleep – sitting up. Our translator carefully lifted him over the bus seat and into the arms of his mother. So despite Jefry’s photo catching my eye and tugging at my heart that first time I saw it, I was ready to give up the chance to meet this wonderful little boy without even a second thought. I’d have missed out on that awesome day with Jefry, getting to know him and his mother. I’d have missed out on the chance to watch him grow in the coming years, and hopefully to visit him again sometime. I’m so thankful God had other plans. Jefry on the go carts. Jefry driving his own boat. Jefry teasing his mom by sticking his thumb in his mouth. Roller skating with some help. This entry was posted in Compassion International, Nicaragua and tagged child visit, Compassion, God's gifts, Managua, Nicaragua, plans, Play Zone Park, sponsor a child. What a cutie!! I love how God worked that out!! Jefry reminds me of my son….I’m glad you’re praying for his mom!! Although I know you can completely relate!! Yes, I can really sympathize with Jefry’s mom!